Did you know that students studying to be a chiropractor, all get trained how to specifically treat pregnant women? There are so many changes taking place in a woman’s body during pregnancy, and some of these changes can be quite uncomfortable. To further complicate things for expecting mothers, they may be restricted with the types of medication they can take during their pregnancy, or it may be their preference to be drug free. As a result, pregnant women are more likely to seek out holistic treatment to help ease the discomfort and musculoskeletal changes during pregnancy. Here at the Back and Neck Center of Brick, in Brick, NJ, we have helped many expecting mothers with chiropractic holistic treatment. Over the years, we have found that we may be able to help in a number of ways, and today we’d like to share some of the benefits with you. As your child grows and becomes heavier, the weight can cause strain on your back. This will become increasingly more uncomfortable with the expansion of the mother’s belly. But not to worry, chiropractors are spine alignment specialists and can apply gentle adjustments to restore alignment and as a result, may ease an aching back. Not only can expecting mothers deal with back pain, but they also may suffer from poor posture. Due to the extra weight being carried in the front of their bodies, this can affect the curvature of the spine. It’s not only helpful to correct poor posture during pregnancy, but your chiropractor can also help prevent long-term posture issues, which can affect mothers long after pregnancy. It’s very common for pregnant women to have issues with their pelvis. This is important for expecting mothers becuase when their pelvis is out of alignment, this can have an effect on the space a developing baby has. You chiropractor can adjust the pelvis to help prevent this issue, and possibly lessen the chances of breech babies or having cesarean delivery. Most women are familiar with the term, “morning sickness”. Now we should be clear, chiropractic care does not alleviate all cases of nausea and vomiting associated with being pregnant, but it may be helpful when it’s cause is due to pinched nerves due to out-of-place vertebrae. If this is in-fact the case, your chiropractor may apply a gentle adjustment, and it may help reduce this unpleasant symptom. Chiropractic adjustments may help situate the baby in a better position for birth. If the mother’s hips and spine are out of alignment, the baby could end up sideways, or breech, and these are less than ideal positions for childbirth. The main premise of chiropractic care is the relationship between a healthy nervous symptom and overall health. Chiropractic care may help remove obstructions to the nerves in the spinal column. When the nerves can freely transmit messages to the brain, the body can work as it was intended. This is especially important when treating an expecting mother. The immune system of the mother and child are closely connected, so the health of the mother is imperative to the health of the child. Pregnancy can be a beautiful time for an expecting mother to bond with her developing child. As great as this experience can be, there is a side of pregnancy that may be very difficult to deal with. If you leave this article with one thing, let it be the that a chiropractor can be a strong ally to help a pregnant woman through this time period. Not only may a chiropractor help the mother, but the treatment that benefits the mother also may benefit the child. Not to mention that your chiropractor can help with those pesky aches and pains associated with pregnancy. If you’re in search of an experienced chiropractor in Brick, NJ, the Back and Neck Center of Brick can help. We have been treating patients in Brick, Toms River, Lakewood and all over Ocean County NJ for over 28 years! 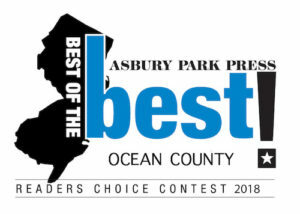 LET US SHOW YOU WHY OUR PRACTICE HAS BEEN VOTED BEST CHIROPRACTORS IN OCEAN COUNTY 9 YEARS IN A ROW! FROM 2009 – 2017 FROM READERS OF THE ASBURY PARK PRESS.